While it's easy to write off winter as a season where there just isn't that much going on outdoors, I've found the opposite to be true. Though the ground may be frozen and the trees may be bare, the changed landscape offers a fresh perspective for observation of the natural world. When we limit our study of trees to the fall, when the leaves are at their most vibrant, we miss out on many rich learning opportunities. February is a perfect time to explore the buds that have formed on trees in advance of spring, and in many places it's also the month that sap begins to run. It's also a good time to be on the lookout for owls, who are easier to spot when the trees are bare and may even be hunting during the daytime, since it's harder for them to find food in the winter. If you thought you could only identify a tree by its leaves, think again! This book offers a simple, lyrical overview of how to recognize common trees by their shape, bark, and buds. A perfect introduction to a winter tree identification walk! Thomas Locker's oil painting illustrations are always stunning, and this book is no exception. It follows the life of a single tree through a full year and includes questions that get children thinking about both the artwork and the seasonal changes depicted. This book offers a comprehensive overview of how maple syrup is made, accompanied by colorful illustrations that will keep little learners engaged. Tapping trees to collect sap and boiling it down for syrup can be done very simply on a small scale, and children love being part of the process. Even if you don't have access to sugar maples, there are a number of other trees that can be successfully tapped as well - we tap black walnut trees and have found the resulting syrup to be delicious! This story offers another take on the maple sugaring process, with a young girl and her grandfather working together on their family farm to collect sap and boil it down for syrup. This beautifully illustrated book tells the story of a little girl who goes "owling" with her father on a cold winter night. It perfectly captures the magic that can occur when you slow down and connect deeply with the natural world. This book makes a wonderful companion to Owl Moon. 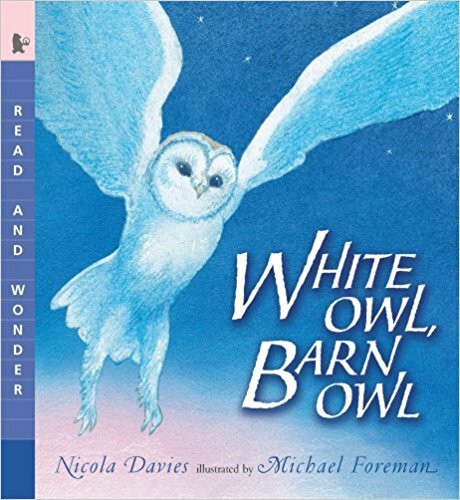 It tells a similar story, but has the bonus of being jam-packed with factual information about barn owls. I often use this book as a jumping-off point for doing owl pellet dissection, which is always a crowd pleaser. Armed with tweezers, magnifying glasses, and bone charts, children as young as three will enthusiastically take part in searching for the tiny bones concealed within the pellets. I've had good luck ordering my owl pellets here.